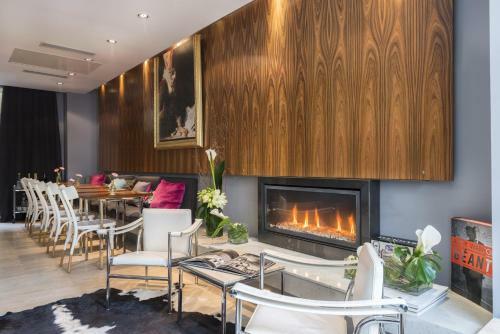 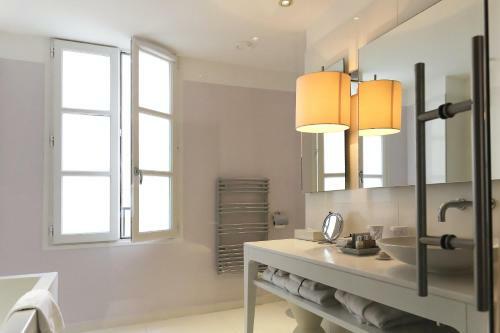 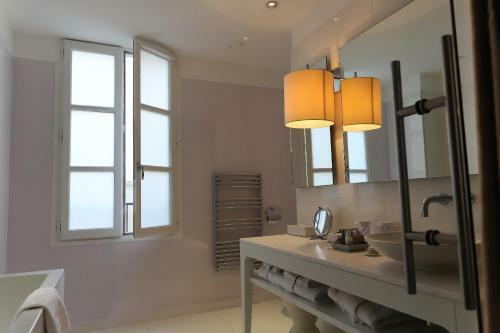 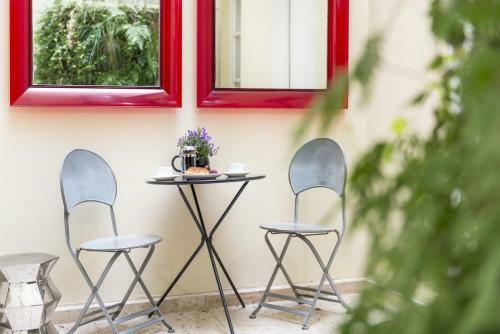 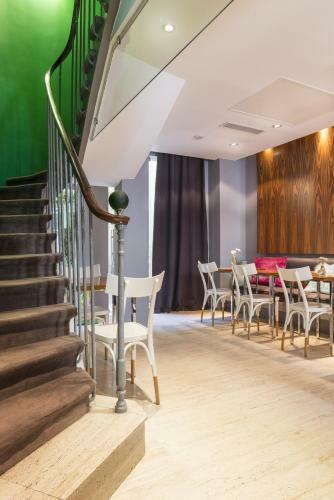 This former classic Parisian family house is located in the heart of the chic and lively Saint Germain-des-Prés district. 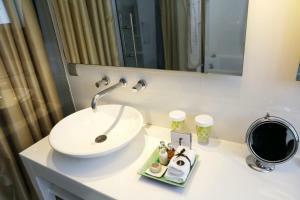 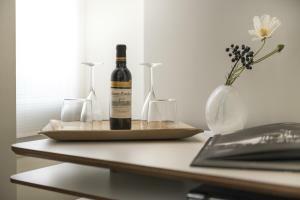 It features an on-site bar and 24-hour room service is also available. 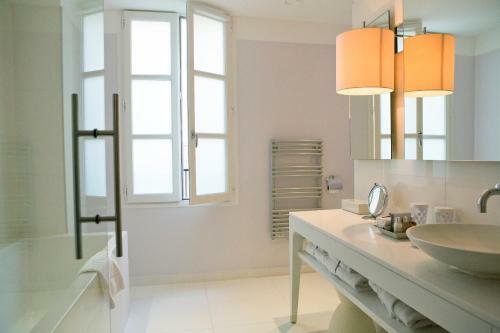 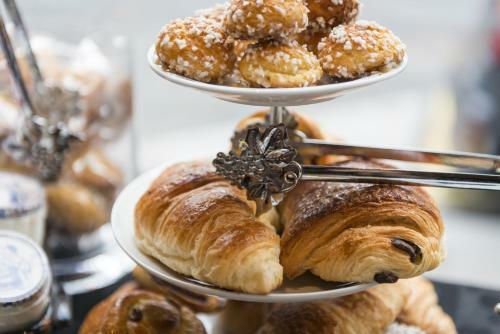 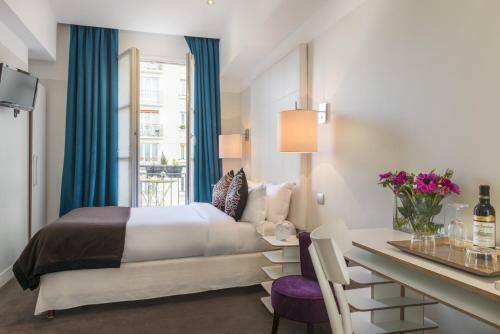 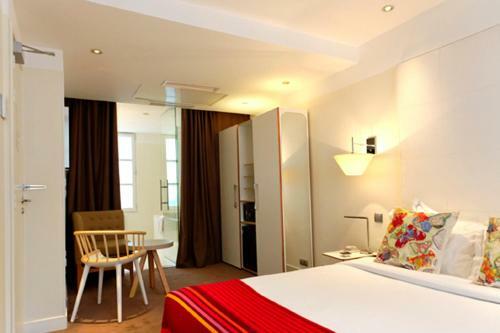 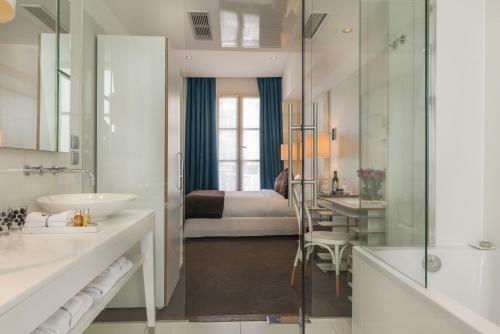 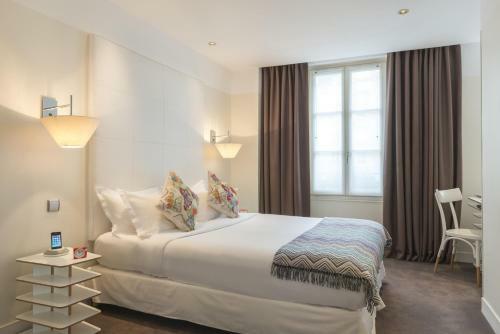 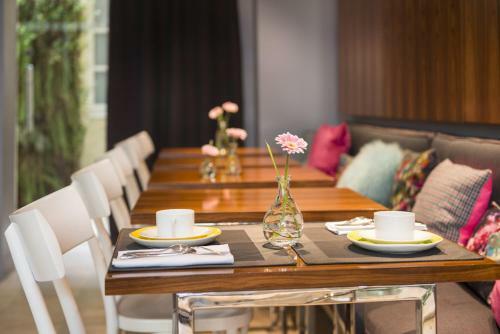 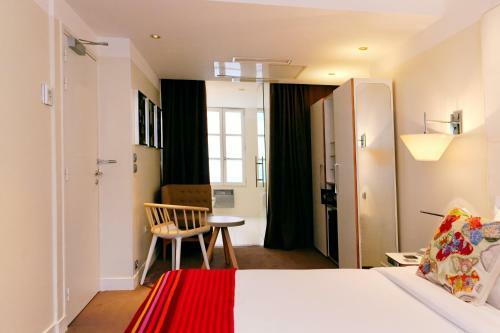 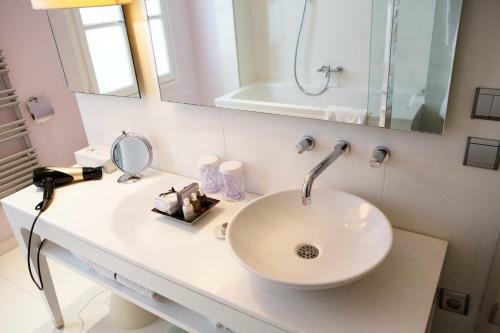 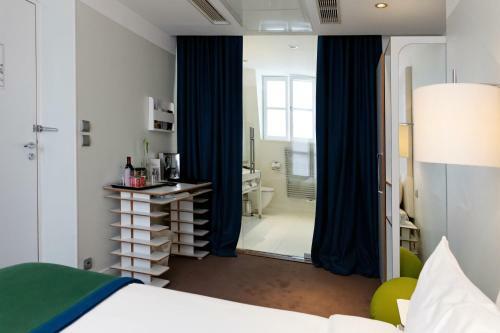 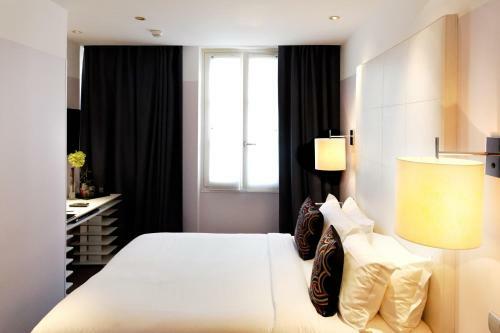 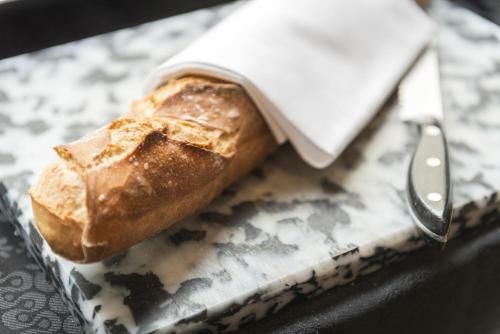 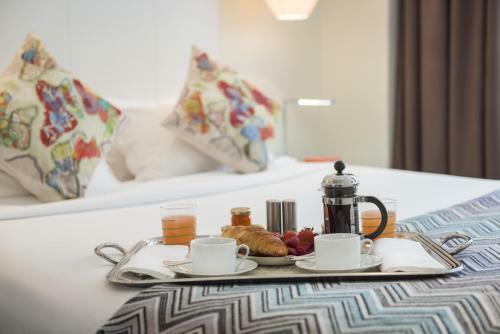 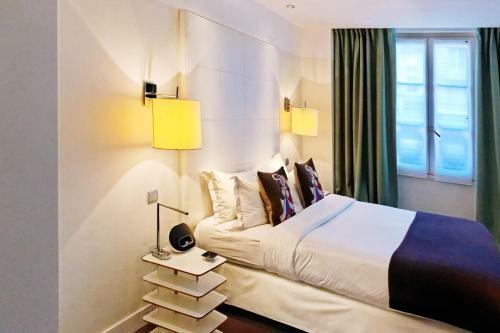 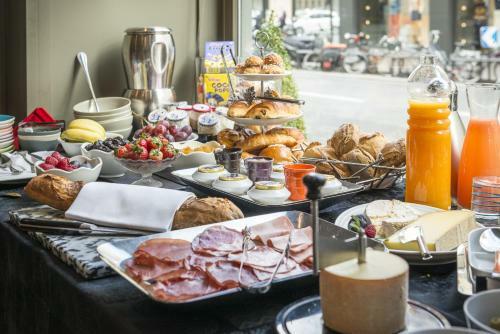 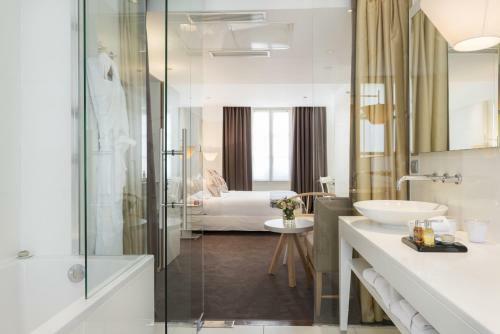 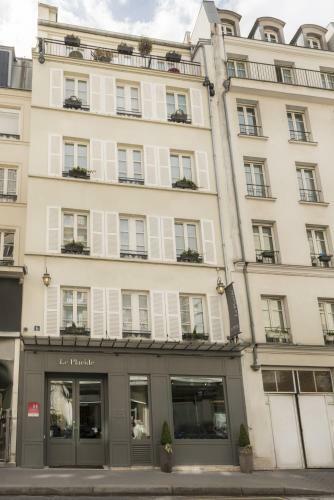 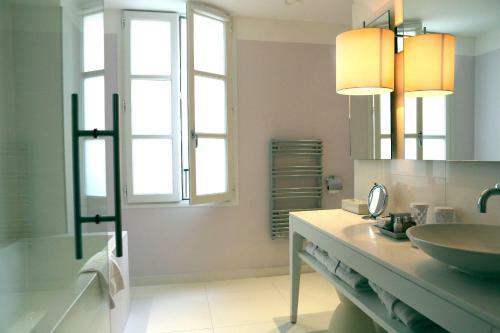 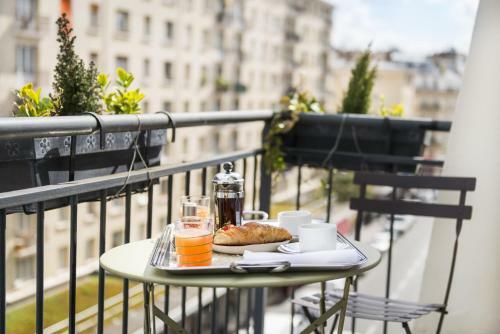 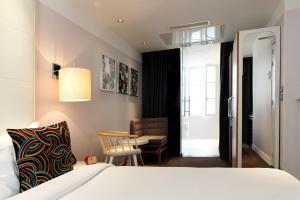 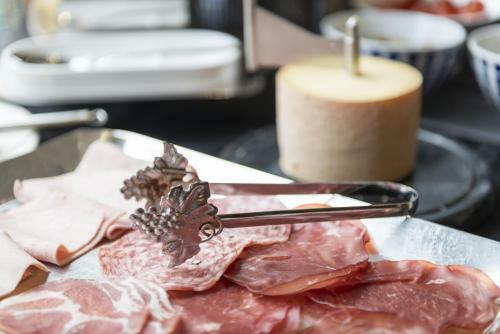 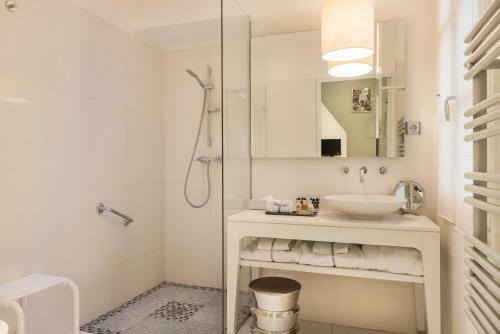 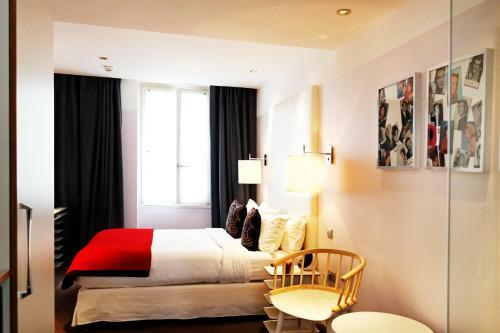 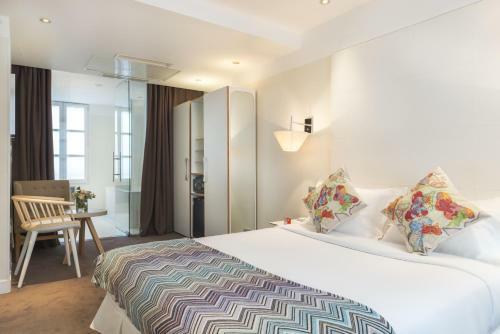 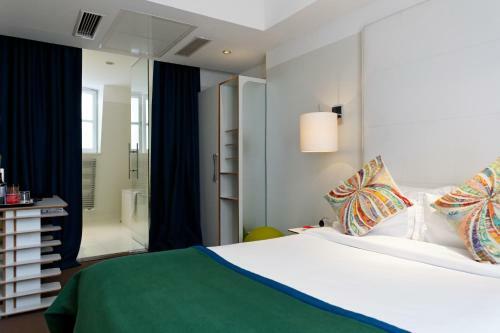 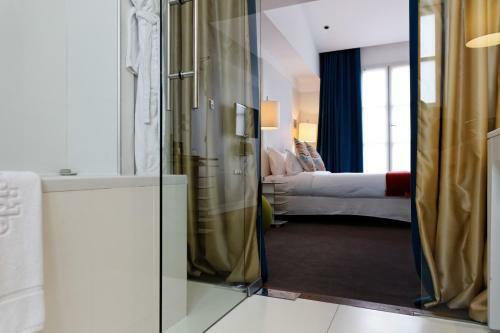 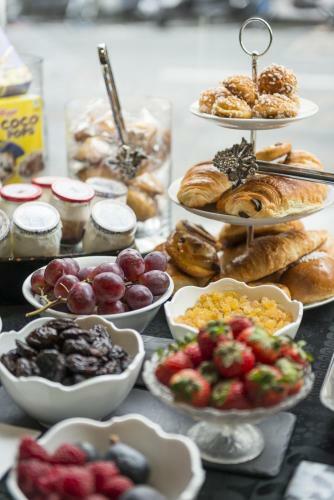 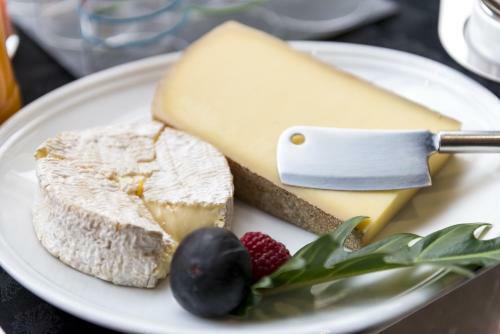 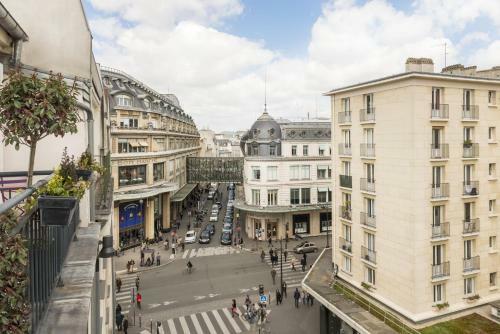 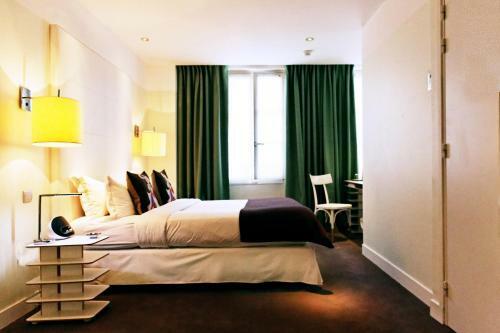 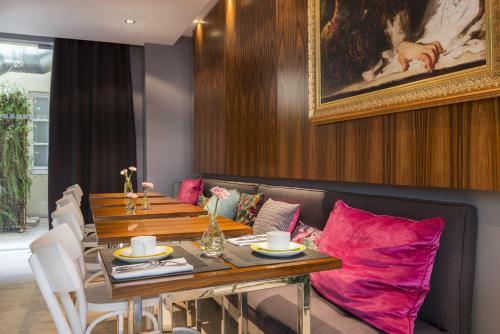 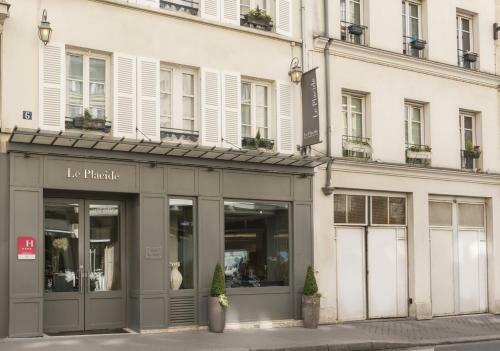 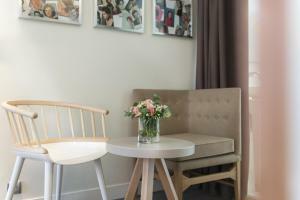 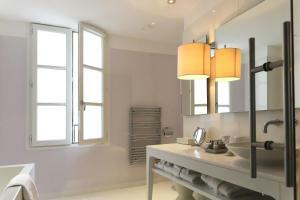 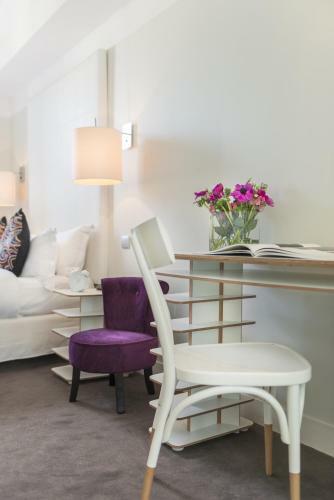 Entirely redesigned by Bruno Borrione from the Philippe Starck firm, Le Placide Saint-Germain Des Prés offers luxurious black and white accommodation within walking distance to the famous Bon Marché department store. 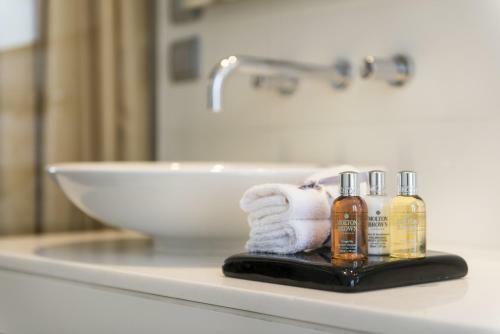 The rooms offer spacious and elegant spaces with thoughtful touches like rose petals on your beds and excellent facilities expected from any 4-star hotel. 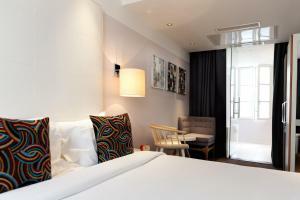 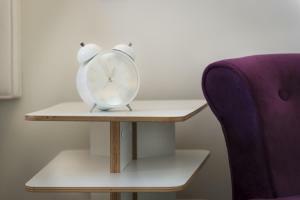 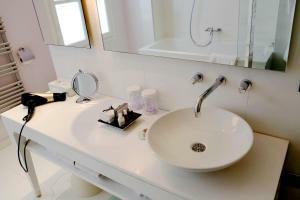 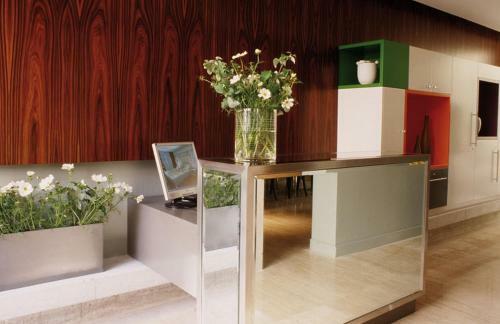 All rooms are air conditioned and equipped with modern features, including a DVD player and iPod speakers. 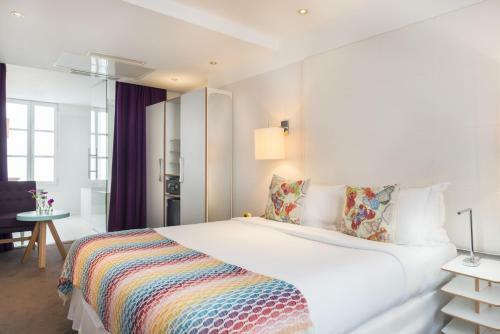 This spacious room has Molton Brown products, a magnifying mirror, a tall ceiling, a feather bed, and allergy-free pillows, cushions and coverlet. 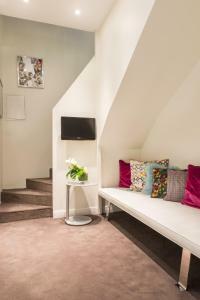 It also includes a furnished balcony. 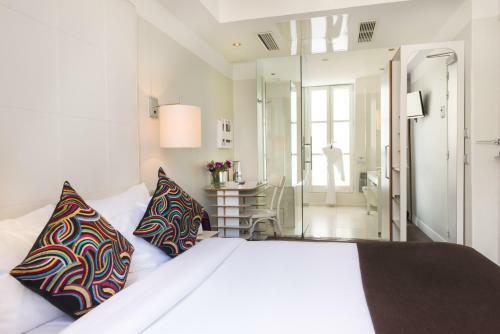 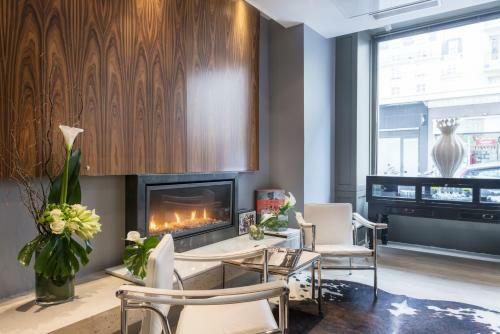 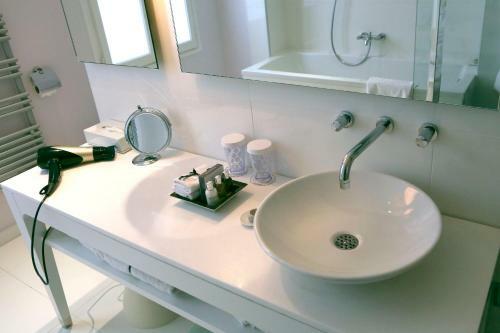 This air-conditioned suite has a contemporary and elegant décor. 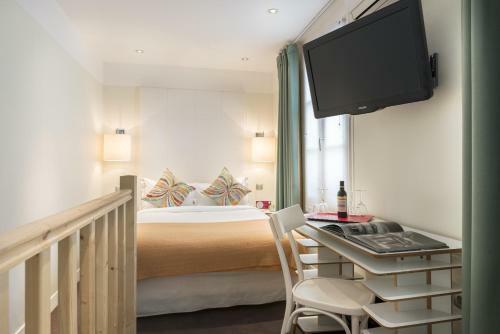 It features a minibar, a flat-screen TV and a seating area. 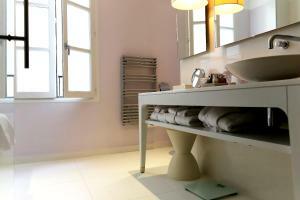 Rate: € 175.20 ... € 269.00; select dates below to get current rates. 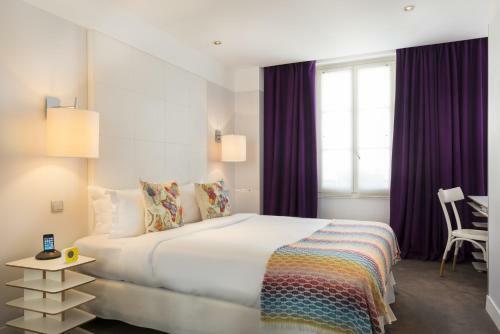 Rate: € 171.20 ... € 279.00; select dates below to get current rates. 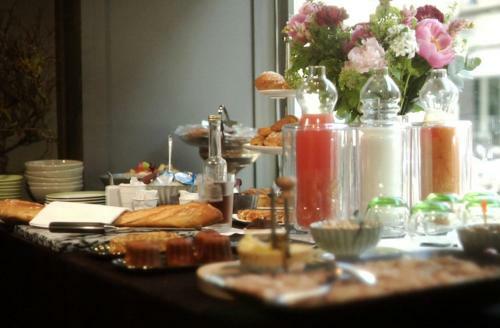 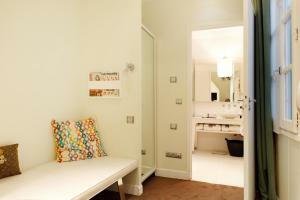 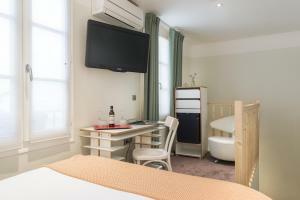 Set over 2 levels, this room offers views of the courtyard, a minibar and a DVD player. Rate: € 170.00 ... € 319.00; select dates below to get current rates. 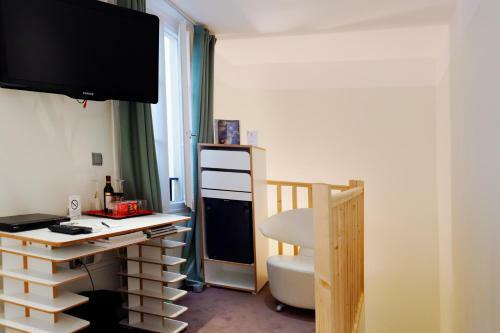 These adjacent junior suites have cable TV, a DVD player and a minibar.